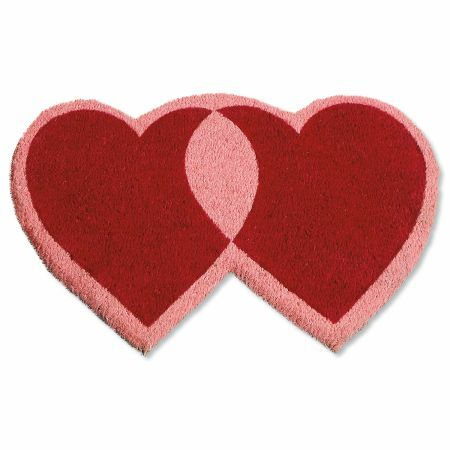 Thick double heart coco mat wears like iron! Virtually indestructible, handcrafted, coconut-fiber mat not only provides a seasonal welcome, it scrubs dirt from shoes, keeping debris outdoors and your house clean. Mildew-/rot-/and fade-resistant; nonslip PVC back. Brush or shake clean. 18" x 30".